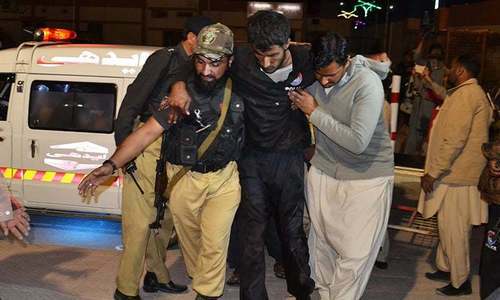 At least four security personnel were shot dead by suspected militants on Fatima Jinnah road area of Quetta on Saturday evening, said police officials. 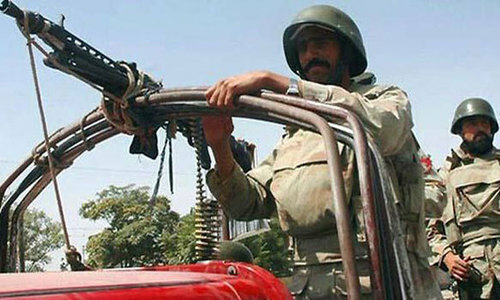 "Armed men opened fire at Frontier Corps and police personnel on Quetta's Fatima Jinnah Road. One FC soldier and a police constable died on the spot, while two other FC personnel succumbed to their injuries on the way to hospital," said a police official. 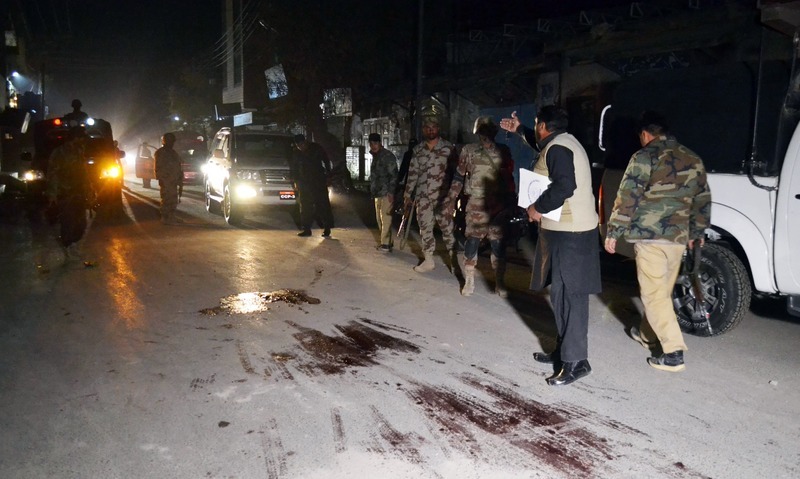 "Two passersby also sustained bullet wounds as result of the attack and were rushed to nearby civil hospital Quetta for medical treatment," the official added. A senior police official told DawnNews that the incident seemed to be an act of targeted killing. Senior police and FC officers reached the spot as investigation into the incident went underway. Police said the assailants escaped unhurt from the spot. Balochistan has been experiencing incidents of violence and targeted killings for over a decade. Al Qaeda-linked and sectarian militants also operate in the region. The province shares borders with Afghanistan and Iran. The largest province of the country by area, is home to a insurgency by ethnic Baloch separatists. Afghan nationals paid by NDS/ RAW involved in killing our security forces. Send back illegal Afghans and peace will return. Security personnel could not secure themselves how they would provide security to common man?? @Aslam: You know it better. we have to take action against Terrorist and their supporters. National action Plan should be implemented across the board to avoid such incidents. Isn't that time we must stop these individuals with iron fist? Or do we need more bodies to come at this decision?